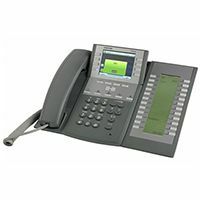 Mitel 7400 IP terminals are designed with quality and esthetics in mind, while offering full support for Mitel communications systems. 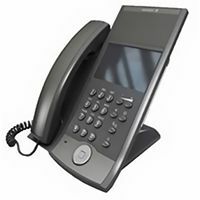 Combining Mitel's extensive experience in terminal design with thorough end-user research, these terminals deliver world-class usability and efficiency. The terminals are suitable for any office and general enterprise environment, providing optimal support for our advanced communication systems. Integrated terminal management means backing up user configuration and telephony data is as simple as the automatic upload of new Mitel 7400 IP phone software. 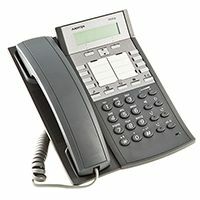 The Mitel 7400 IP series, with its sophisticated and ergonomic design, offers a user-friendly graphical interface for an unparalleled user experience. 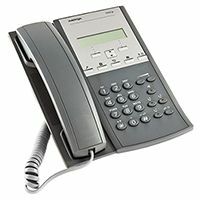 Total integration with Mitel call managers and the auto-provisioning feature integrated in the Mitel 7400 series contributes to a low total cost of ownership for the complete communications system.